All PAVOREAL REPLAT AMD homes currently listed for sale in Scottsdale as of 04/23/2019 are shown below. You can change the search criteria at any time by pressing the 'Change Search' button below. 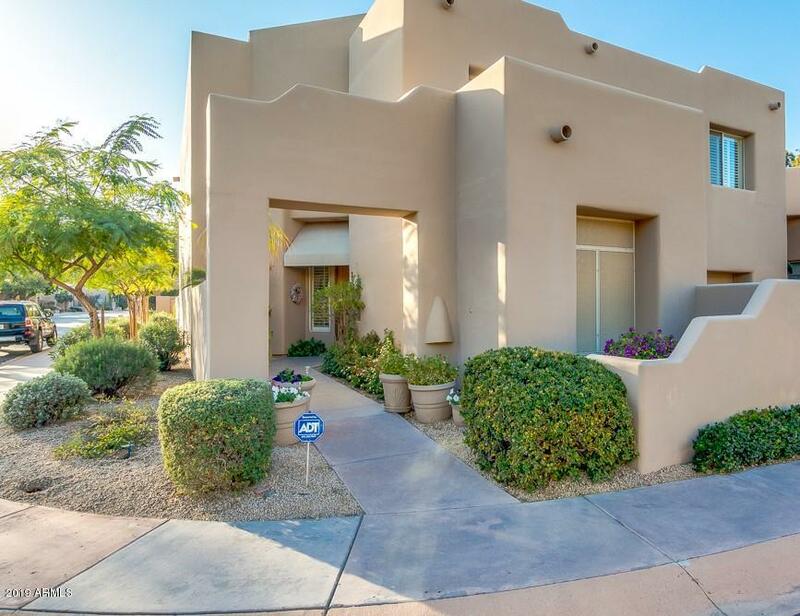 "Fantastic deal on a townhouse in the heart of Downtown Scottsdale close to Scottsdale Fashion Square mall. Within walking distance of Old Town! Located on a corner lot within a 24 HR guard gated community with mature trees/foliage. Enter into private courtyard to the front door that opens to huge entry and living room with soaring ceilings and custom draperies. Dramatic floor to ceiling black marble fireplace. The downstairs includes black marble flooring, with library/den and 3/4 bath. Grand st"